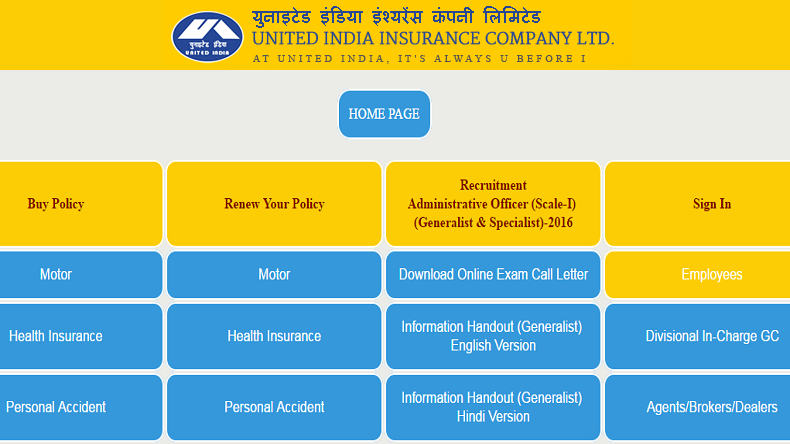 New Delhi: Candidates can now gear up to appear to appear for United India Insurance, UIIC AO exam 2016 as the call letter/ admit card has been released on the official website – www.uiic.co.in. As per reports, there are no prelims & main examinations for United India Insurance AO recruitment and candidates will need to sit only for one exam on 12 June. UIIC AO recruitment 2016 notification that was released in May had advertised 300 Administrative Officer posts that are required to be filled. Since the positions are of officer cadre, no state wise vacancies are available. i want my admit card to appear the examination.